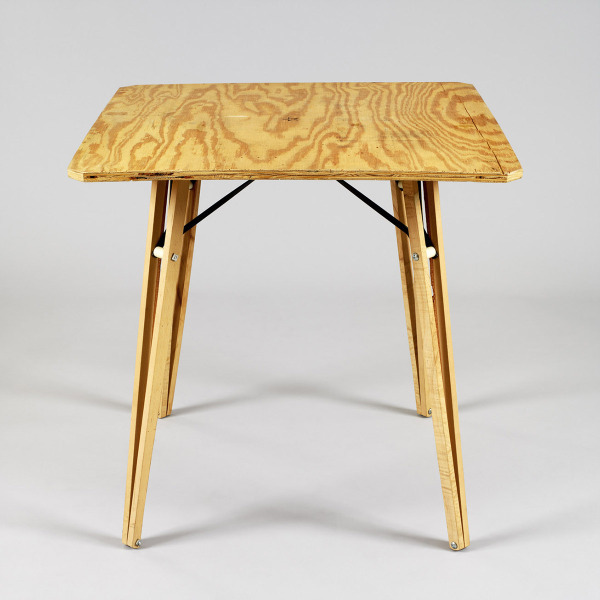 Table with a square plywood top with four beech and maple legs. Shuttering ply top, beech and maple legs, black iron struts, nylon 66 spacers. 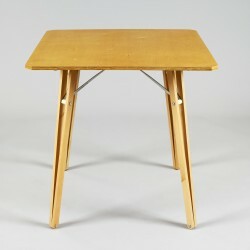 Prototype Square Table, Michael Marriott, 1994, Crafts Council Collection: W106. Photo: Todd-White Art Photography. 1996: Prototype, made using timber that would be seen as being second rate in a production piece, i.e. the legs include bits of wavy edge timber. Also the top is not flat and has several defects.